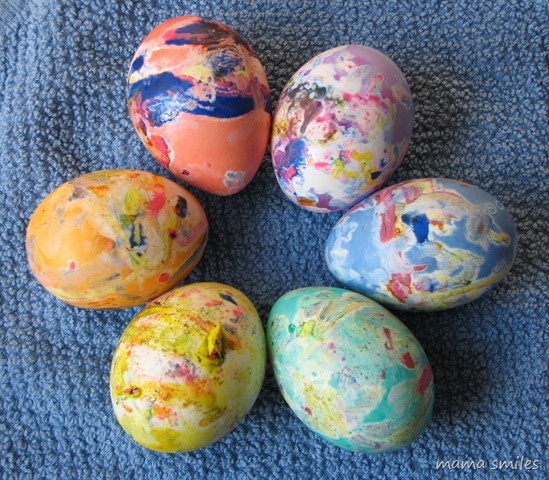 Crayon shaving eggs are easy to make and visually stunning works of Easter art. Learn how to make them – for yourself, or with the kids. You’ll also love these plastic easter eggs turned bunnies! The Easter Egg by Jan Brett is this week’s Virtual Book Club for Kids pick. This cute book features all sorts of fun ways to make fancy Easter eggs, so I decided it was the perfect time to update this post featuring my all-time favorite method of decorating Easter eggs. I’m absurdly pleased with how our Easter eggs turn out when we use this method, and I think we’ll probably do it again this year. 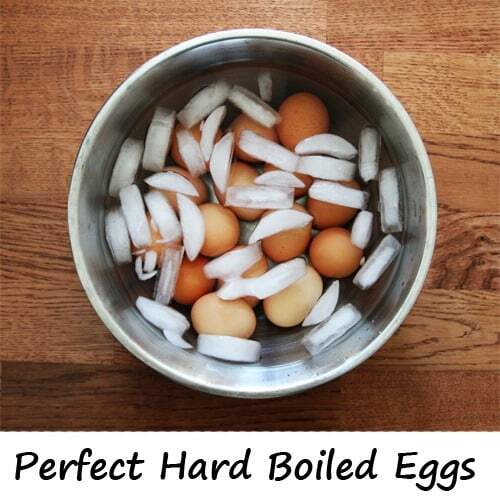 Freshly boiled eggs that have not been cooled (skip that last step for these fancy eggs!). Check out this tutorial if you want to make Instant Pot hard boiled eggs! Crayon shavings. Pencil sharpeners produce beautiful crayon shavings! Tongs – ideally silicone tipped tongs. Lay a selection of crayon shavings out on your parchment paper. Lay out a second sheet of parchment paper that can hold your eggs as they cool. Use the tongs to pick up and then carefully roll the eggs across the crayon shavings, one at a time. Place the eggs on the second sheet of parchment paper to cool. And that’s it! The trick to getting the crayon shavings to look pretty is to keep the shavings large and not to add to many of them. 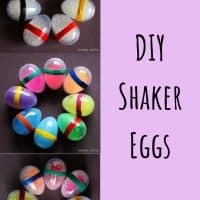 Once the eggs have cooled a bit, you can dye them, either using one of the Easter egg coloring kits you find in stores or in a food coloring and vinegar solution. You will need 1 teaspoon of vinegar for each 1/2 cup water to set the dye. This gel squeeze bottle food coloring set will create some stunning colors, and will require fewer drops than the standard liquid drops that are traditionally used. 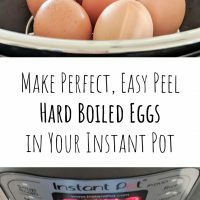 Instant Pot Hard Boiled Eggs - Easy to Peel! 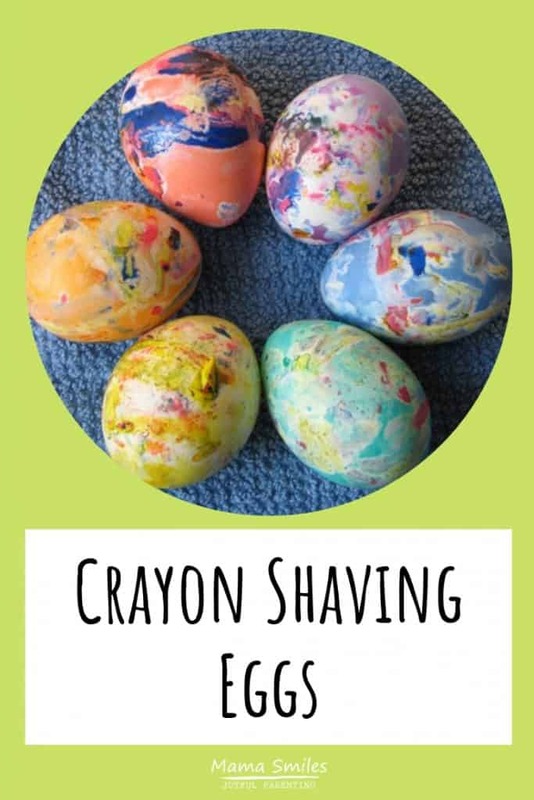 Have you ever made crayon shaving eggs? .-= Keeling´s last blog ..Happy Easter! =-. Those eggs are gorgeous! 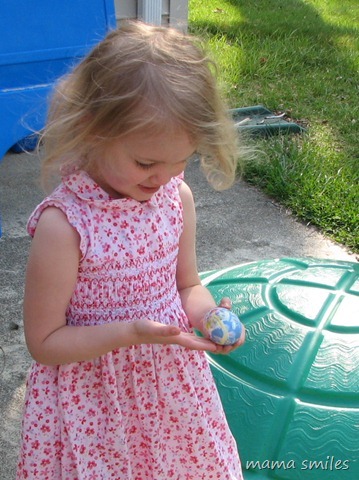 Our Children’s Museum blog suggested wrapping tape around eggs pre-dip to get spiral stripes. We’ll try that next year. It’s lovely that Johnny wanted to proclaim big brotherhood! Too cute! I always thought all the gimmicky twin Tshirt pairs were too much, but Jess and Mel enjoy proclaiming their twinship so much I may have to get them some. .-= Sadia´s last blog ..A truly happy Easter =-. I love them. We had only a little success with egg dying this year. I love your idea. .-= Ticia´s last blog ..Art Box and Kiddos Create: wood creations =-. It’s great that you had a wonderful weather for Easter. I wish we could say the same here, but it was a perfect winter day in Silicon Valley – cold and rainy. 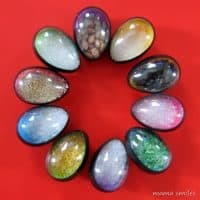 The pictures are beautiful, and the eggs turned out very colorful. .-= Natalie´s last blog ..Toys My Child Is Really Playing With – Playmobil =-. The eggs look amazing!! How nice to see the kids outside enjoying a fun Easter! 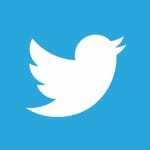 .-= Valerie @ Frugal Family Fun Blog´s last blog ..Blossoming Cherry Tree =-. Our weather was gorgeous too! Those are really cool Easter eggs! The eggs turned out great. I definitely want to be more daring with our decorating next year. 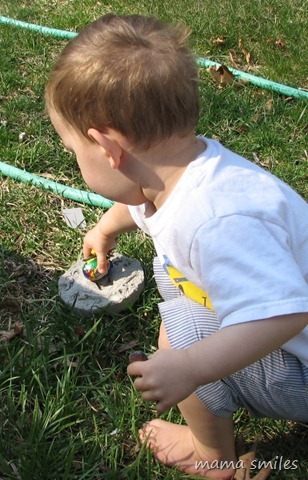 .-= Quadmama´s last blog ..Easter and Multiples =-. So happy Easter was sunny and happy! The eggs came out BEAUTIFUL! I love them and will have to try making them next year. .-= mama king´s last blog ..Candy Ring Flower =-. I absolutely LOVE them – all that wonderful color! those eggs are too cute. glad you all had a good day. .-= beverly´s last blog ..He did it! =-. I was so ready to use the crayon shavings this year but was in autopilot getting the eggs cooled down after boiling them then OH NO! Ah well, there’s always next year. At least we found that brown eggs do hold food colour dyes well. .-= Elisa | blissfulE´s last blog ..happy Easter =-. Yes, your eggs look fabulous! Out of all the eggs I’ve seen this year around, yours are my fave by far–LOVE them!! .-= Susana´s last blog ..Easter Day Fun & Happy Birthday Dad! =-. They do look spectacular! Our Easter weekend was pretty hot, but we were happy it didn’t rain! .-= Tracye´s last blog ..Happy Birthday, Christian!!! =-. .-= Nicole´s last blog ..The Art Box – April 5, 2010 =-. Aaaah and love your “stage two” of the egg colouring process! Perfect! come and link them up both tomorrow??? The eggs are absolutely lovely. 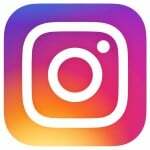 You are creating some amazing family memories that are equally vibrant. Enjoy a special Easter weekend. Thank you! I hope you also have a wonderful Easter weekend! We just dyed eggs today – didn’t try crayon shavings, but tries drawing on the hot eggs – it was fantastic! I love how those turned out so nice and marbly! Thanks for adding this post in last week’s High paw! Hope to see you participate this week too! We tried this yesterday and the kids adored it – although I think we went a little overboard with the crayon shavings. Less is more in this case! Finally a decorating technique that looks lovely on brown eggs. Such a fun idea, i can’t wait to try it. Thanks for this idea! 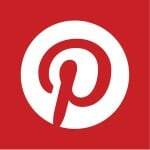 I found your post from Mud Hut Mama’s blog. I’ve been looking for ways to decorate brown-shelled eggs for Easter because that’s all I sell from our direct-market farm. This is a fabulous way to decorate eggs that simply don’t fit the conventional system. 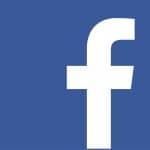 Not sure how your trackbacks work but I’d love to add my blog post there too. Also, I love your photos. Very artistic and well done! Thank you, Margaret! 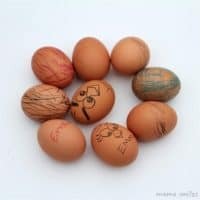 This is a great technique for brown eggs! 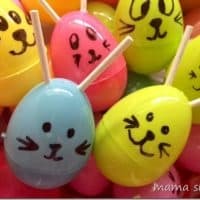 I will have to try making these with my kids! They are fun to make! I love watching the wax melt onto the eggs. This looks like fun. No kid could resist. Super fun and easy to do. It’s been on my to try list for years, this and the shaving cream method, but I always end up defaulting to using the egg dyeing kits I used as a kid. The eggs are beautiful and what a great use of broken crayons!